Can you believe it’s already that time! Once again, this year flew by. 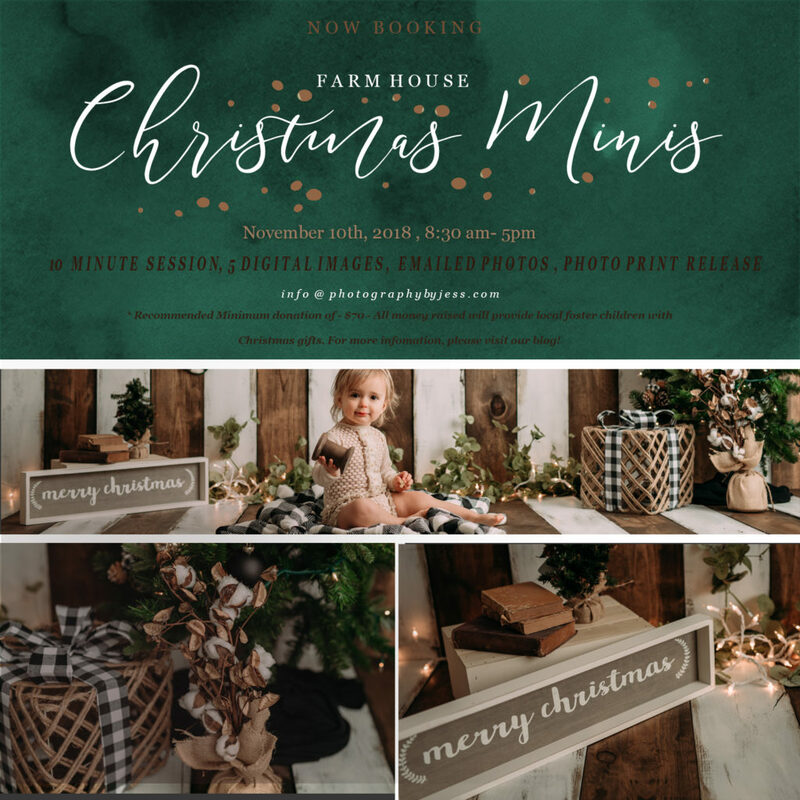 Here is the information on my 5th annual donation based Christmas Mini sessions. If you are a past client, you know where the money from this goes. If not, here is a short run down : Every year, I donate my time (lots and lots and lots of it!) and purchase all of the props to make this happen. Every year we are able to sponsor more and more foster children. It’s wonderful! What does “Sponsoring foster children at Christmas time” mean? It means I contact KVC and request X number of children; last year we had 15. (Teenagers need the most sponsors.) They will then send me the first name, gender, age and a complete Christmas list that comes directly from the child. I (we) then become their sponsors. Email me (info@photographybyjess.com) with your top 3 times if you want a session. The times are listed below and will be updated with your initials as they fill. The money will be collected at the session. CASH ONLY PLEASE! The recommended minimum donation is $70. Wait a few days (maybe a week) for me to edit the photos and return them to you. Follow me on FB or Instagram to stay updated on how many foster children we were able to sponsor. The shopping that happens, the sorting, and the best part, the delivery of all gifts purchased. Wait, and do it all over again next year! Want to know why I do this every year? Just ask! Here is a sneak peek of what the setup will look like. I plan on adding some more items (A white fire place in the middle) but this gives you a good idea! Available times are as follows: Times in black are open! I know you’re asking yourself these questions…. Will 10 minutes be enough time? Yes. Can parents be added in? If you wish! What if i’m late? I don’t recommend it. but I don’t recommend being super early either. Please try to arrive as close to your time as you can. This helps the process go much smoother. What if I want to book more than one time? Please consider doubling your donation. What do we wear? Any Solid colors will be good! I would stay away from black. Red, Silver, Gold, Green, White will all be pretty! I think that’s all for now! 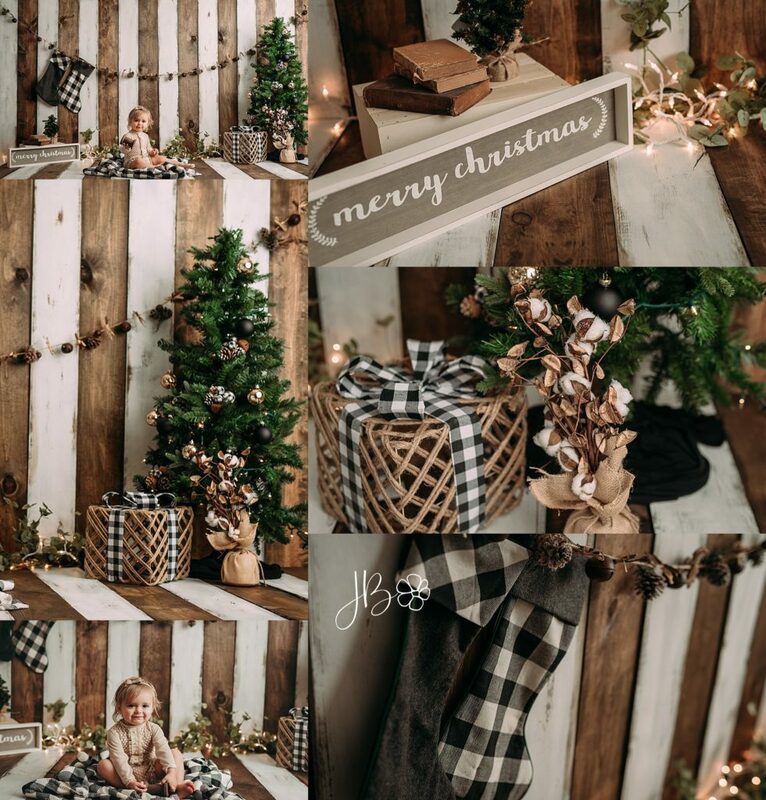 Thank you so much for reading, and considering these Christmas mini sessions. I know you have lots of options! !